Success is never achieved alone. We are at our best when we succeed together – when we inspire and empower each other – when we share wisdom gained through experience. This is the spirit behind STARS, our firm’s initiative to promote the development and success of our women attorneys. This means providing access to the opportunities that will assist them in achieving leadership roles in the firm, within their practices and in their communities. 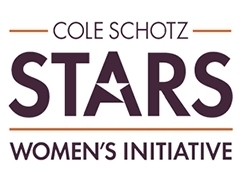 STARS focuses on issues that are pertinent to women lawyers such as skills development, networking and business development, empowerment, leadership, work-life balance, recruitment and retention, mentoring, and community service. We host a variety of programming and events including panel presentations, casual roundtable discussions, informal mentoring, and networking opportunities with clients and other female professionals. A standing room only networking event at the flagship location of Saks Fifth Avenue in NYC. Attendees were treated to a Bobbi Brown makeup touch up and professional headshot. A screening of the documentary Balancing the Scales, a film by Sharon Rowen. We were joined by members of the New Jersey Chapter of the Association of Corporate Counsel. The evening offered a look at the challenges women lawyers have faced historically and still face today, followed by a lively Q + A session, and the opportunity to network among peers. An evening of networking and fun at the London Hotel in NYC. Attendees had the opportunity to meet and greet, enjoy stunning views of the city, and attend a flower arranging workshop lead by the talented staff of Stems Brooklyn. Many of the arrangements were donated to the Valley Health System in Ridgewood, NJ. An internal luncheon and presentation by a certified financial planner to discuss vehicles for achieving short and long-term financial goals. An autumn networking event at City Winery in NYC. The women attorneys and their guests enjoyed sampling a selection of wines and delicious food. Guests were given the opportunity to purchase bottles of wine during the event with a portion of the proceeds, matched by Cole Schotz, being donated to Gilda’s Club of Northern New Jersey. An internal luncheon to discuss confidence in and out of the workplace. Women from the group shared tips, stories, and posed questions about confidence and how it impacts their careers.